I often love to experiment in the kitchen trying new recipes, twists on existing ones but other times, a recipe can be just perfect as is. 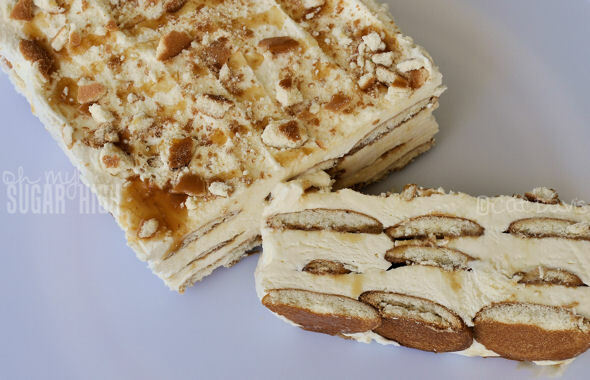 Last weekend, I was browsing through the recipe collections at Kraft Foods online and stopped dead in my tracks when I saw this Dulce de Leche dessert. Caramel, white chocolate, Nilla wafers, what more could you need? Absolutely nothing, I love this recipe just the way it is. 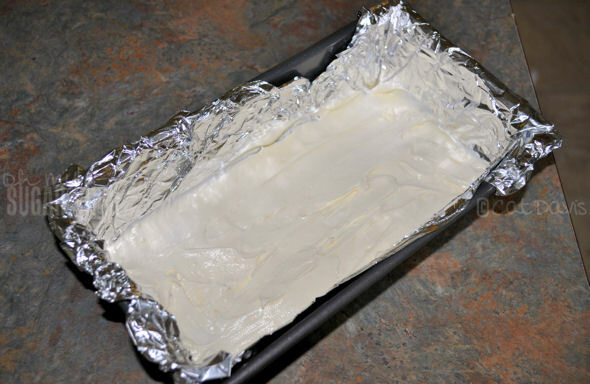 To get started, you’ll need a bread loaf pan lined with aluminum foil. 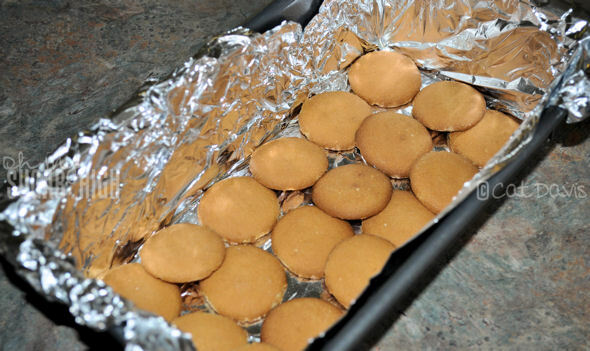 Line the bottom of the pan with a single layer of Nilla wafers. In a large mixing bowl, beat together both boxes of pudding mix and milk. Once thick and smooth, add the thawed Cool Whip and mix until smooth. Using a spoon, carefully spread a layer of your pudding mix over the Nilla wafers, filling in all of the empty space. 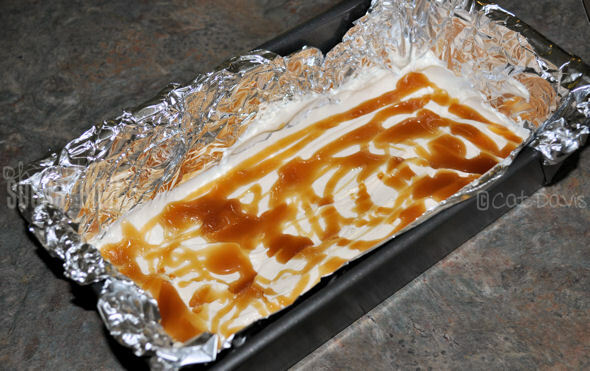 Drizzle some of the caramel over the pudding layer. Continue building layers until you have 3 layers of each ingredient. 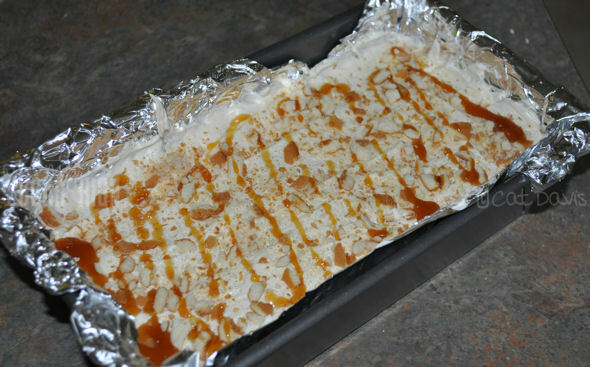 Top with crumbled Nilla Waters and a thin drizzle of caramel. Freeze for 4-6 hours and thaw for 15 minutes before serving. Oh my gosh! This is on my ‘to post’ list! I made it a few months ago, totally loved it. Was it cake-like? Or soft like pudding or ice box cake? Michelle, it’s almost hard to explain, the cookies stay really crunchy and the pudding layer is frozen, but still soft to cut through so it almost seems like an ice cream layer but fluffier. Looks super yummy and so easy to make…thanks for the recipe and how-to pics! I could eat it right off the screen! Yummy!